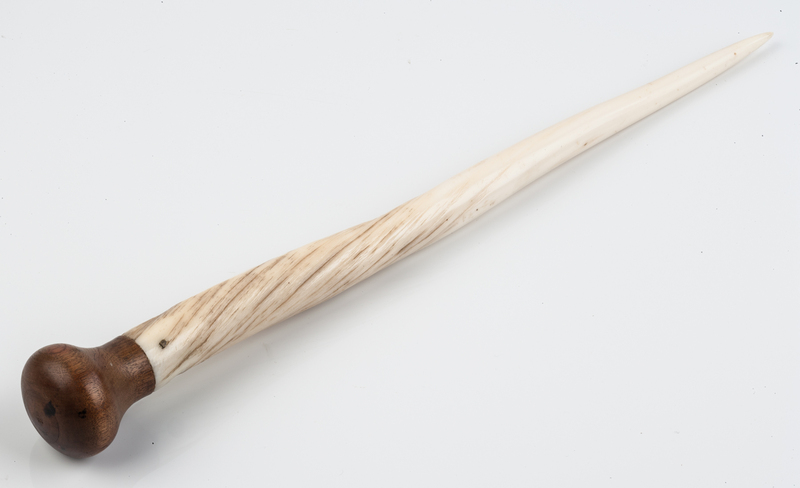 A repurposed Inuit harpoon tip made from the pointed end from a narwhal's tusk, roughly shaped and hewn towards the end holed for seal sinews, to secure this to the wooden shaft of a harpoon, but with a fine glossy patina. 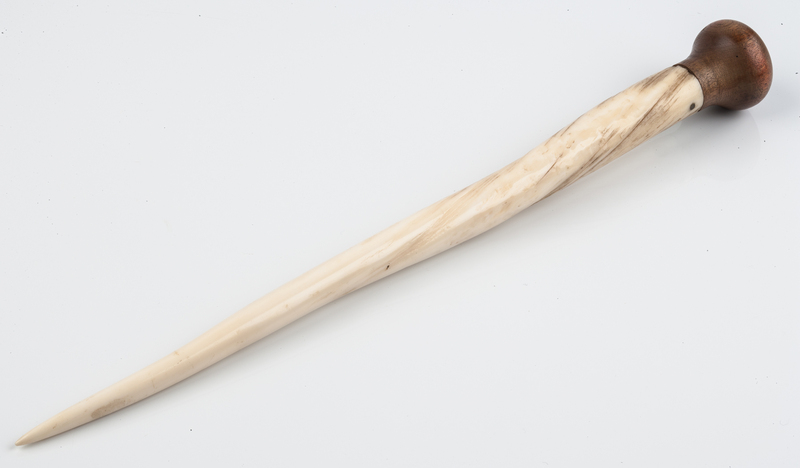 Apparently traded with a mariner early in the 20th century who has then made this into a good and handy fid, with a turned wooden bearer; an excellent tool for the splicing of ropes. 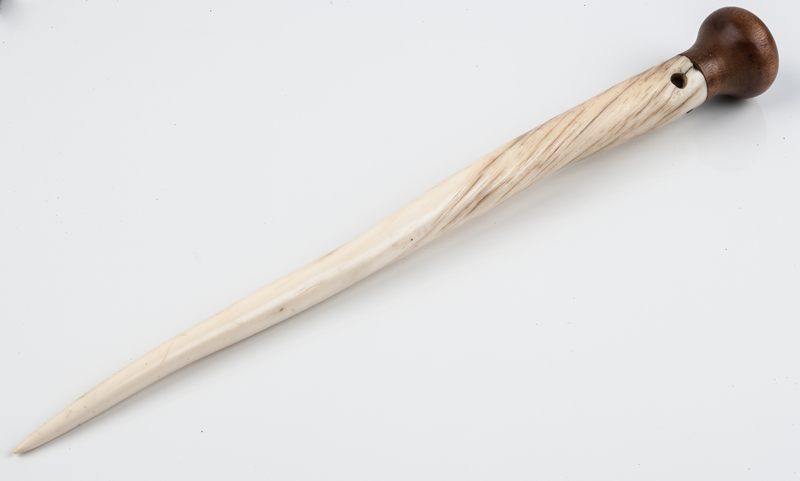 The tusk 19th century, as a fid, early 20th century.